Jonas lives in a community that values Sameness. Children are grouped by the year they are born and learn the same lessons, are taught the same rules of the community. When they become Twelves, they are considered adults and assigned a role, but Jonas does not receive an assignment. Instead, he is selected as the new Receiver of Memories. This is a mysterious role that is held by only one person in the community. His trainer is the previous Receiver, the only person who even knows what this role entails. 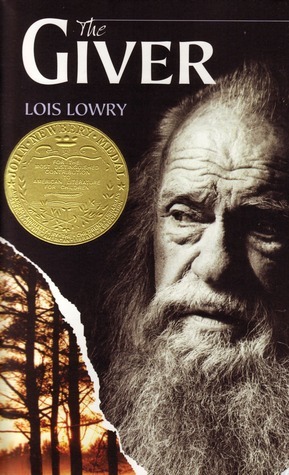 The Giver (Giver Quartet) by Lois Lowry is a very popular dystopian novel that was recently made into a film. My book club is reading it this month, so I finally took time to read it myself. The world that Lowry creates is similar to other dystopian stories in that the people are restricted by specific rules about behavior and their roles in the society are determined by the leaders. They are also sheltered from the reality of the past and the world outside of their own community. All of these rules are in place to protect the people. Despite the similarities with other dystopian novels, The Giver has a unique storyline focusing on the memories of the long-lost past, the memories from the time before the community embraced the Sameness. I don't want to give a lot away to those who have not read this book yet, but I do want to say that I enjoyed the story and the characters. I especially liked the characters of Jonas and the previous Receiver of Memories. The way they deal with their uniqueness in a community in which everyone else is the same drew me in. I could feel what they were feeling, and I found their connection endearing. The Giver would be an excellent introduction to the dystopian genre for older elementary and middle grade kids. There isn't much in the way of questionable content, and it's a fairly short book. It is also the first in a series, which I plan to continue. The ending of this one is rather open, so I'm curious to see where Lowry takes us in the future. I cannot say whether the future books in the series would also be appropriate for this younger audience, but this one definitely would. This review was written based on a copy of The Giver that I purchased. I just read The Giver for the first time a few years ago, but I haven;t read the rest of the books in the series yet (though I want to). I think a lot of kids read this for school - my older son did. I want to see the movie, even though it didn't get great reviews. I'm hoping to read the rest of the series next year. I found a 2015 finish the series challenge that I'm going to join so I have motivation!